The future King of England discussing the mighty Aston Villa with a fellow fan. This is a great little video I saw earlier on facebook. 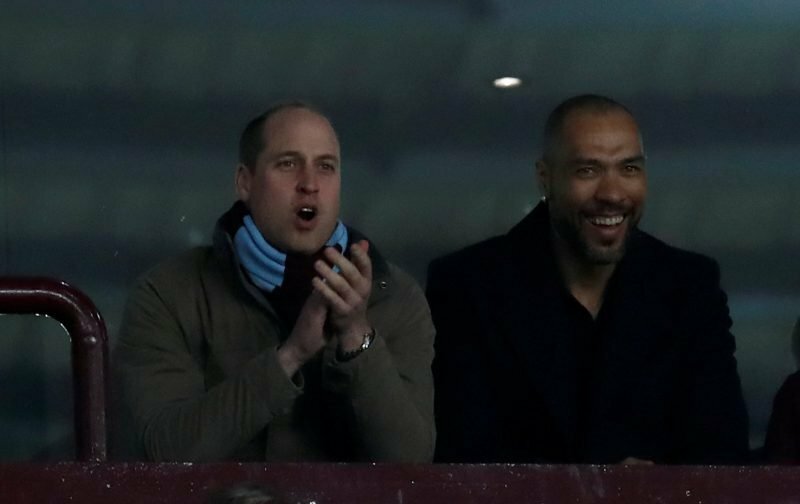 Prince William finds a young lad in the crowd called William and then twigs, not only do they share a first name, they share a love of Aston Villa. It was widely reported this week that Aston Villa CEO Keith Wyness had invited William to join owner Tony Xia for the play-off final v Fulham on Saturday (21st May). Sounds like, from the video, that he’s going to try his best to be there, as are not far off 40 000 other Villa fans now it’s been confirmed the Villa ticket allocation has sold out. Fantastic when he tells the youngster “Very nice to meet you William, you’re the most important man here.” What class! And if you don’t know the story, Prince William explained some while back why he became an Aston Villa fan in the first place. It made me chuckle, he wanted a rollercoaster, he GOT a rollercoaster!